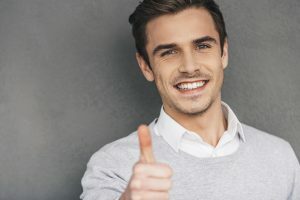 Why Do Dental Implants Have A High Success Rate? Out of all the dental procedures currently performed, none can match the success rate of dental implants. Dental implants boast a high success rate, 98% to be exact. What makes dental implants one of the most successful procedures currently performed? Here are some things you need to know about dental implants and what type of success rate you can expect. What Do Dental Implants Provide? With dental implants, you will be able to see a drastic difference in your appearance. Dental implants will look and feel like your own teeth, making it feel that your smile is still intact. Dental implants will improve your appearance, speech, eating, confidence, and overall self-esteem. Dental implants are safe and effective and ideal for individuals seeking a permanent solution for missing teeth. The body will accept or tolerate titanium implants, but they need to bond properly to be considered to a long-term solution for missing teeth. The overall success rate of dental implants will be based on the way it heals with your body, and your overall health and well-being. Dental implants are successful when the patient’s health is in good condition and having them performed by a periodontist. Mandible dental implants are the implants on the lower jaw. The location of these implants is generally stronger and easier for an implant to be successful. The upper dental implants have a harder time working successfully because they are close to the sinus passages, which can be weaker in terms of bone density. The surgery itself requires the work of a skilled dental implant specialist in Boston. Failure to have the right doctor performing the surgery can increase the risk of the dental implant failing. Schedule a consultation with Dental Partners of Boston today!